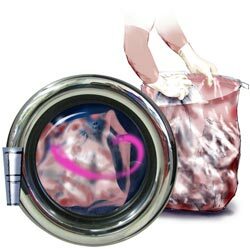 Our water soluble laundry bags are ideal for collecting and safely washing contaminated linen. Also popular for washing bed bug infested linens. Featuring latex-free material, these convenient bags avoid exposure to germs, blood, or infected items and easily disintegrate in hot or cold water.